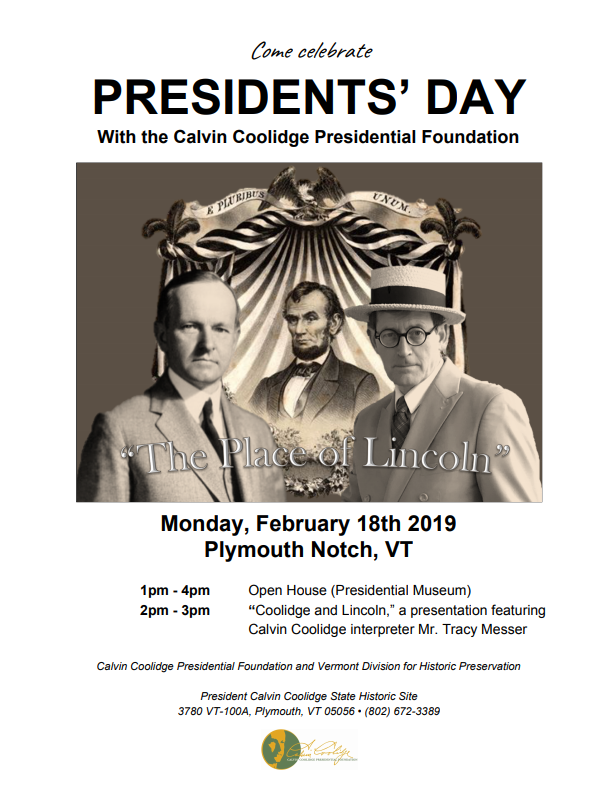 Come celebrate Presidents’ Day at Plymouth Notch with the Coolidge Foundation! The day will feature a special presentation by Calvin Coolidge interpreter, Mr. Tracy Messer. 2 PM – 3 PM: “Coolidge & Lincoln,” a presentation featuring Calvin Coolidge interpreter, Mr. Tracy Messer.